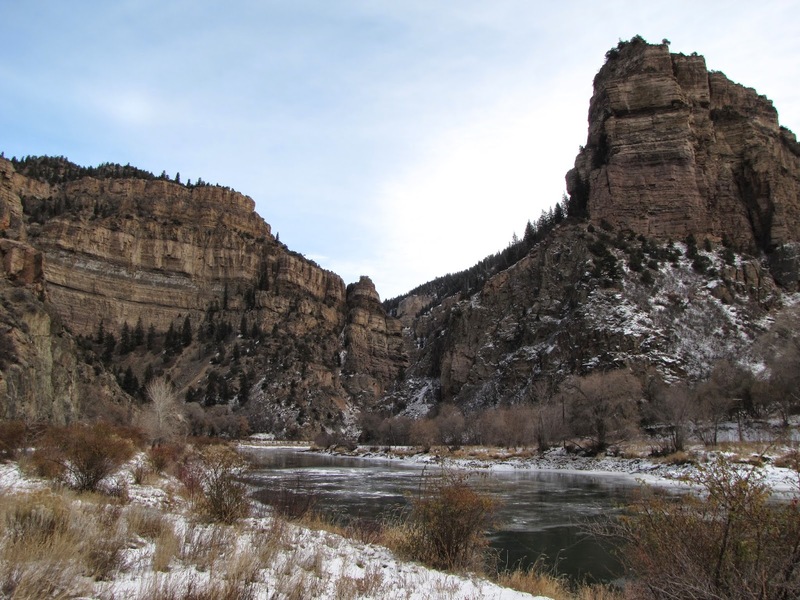 Directions: From Glenwood Springs head east on I-70 into Glenwood Canyon to the Hanging Lake exit. 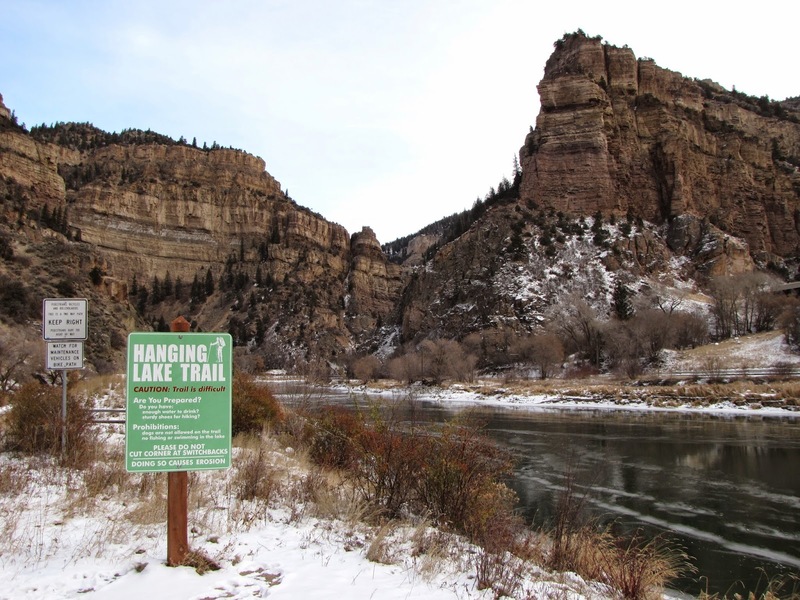 Park at the rest stop and walk 1/4 mile along the paved trail following the Colorado River to the Hanging Lake Trailhead. 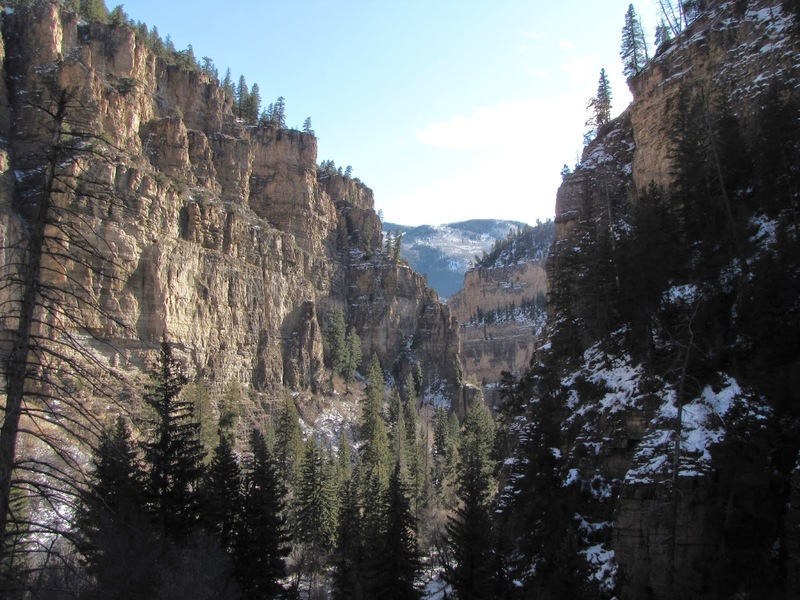 If you are coming from the east, traveling west-bound on I-70, then you need to get off at the Grizzly Creek exit, get back on I-70 eastbound to the Hanging Lake exit. 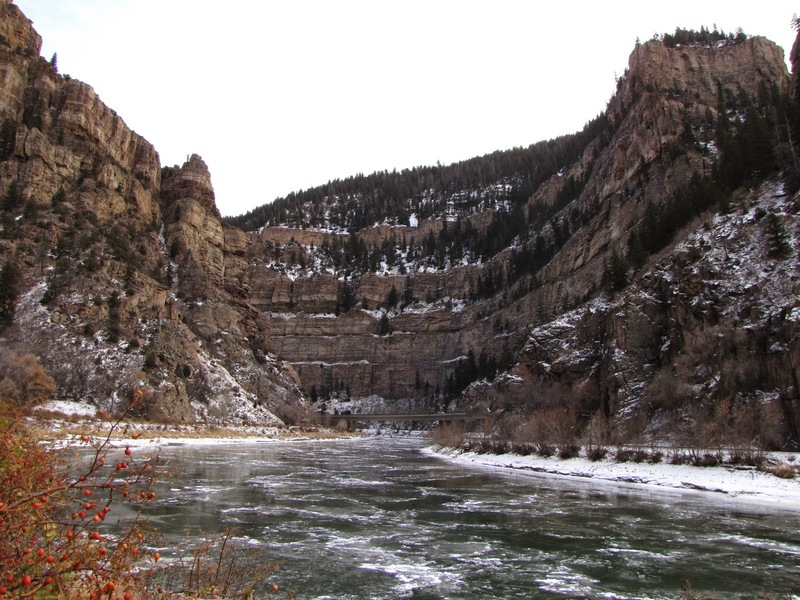 Glenwood Canyon is simply amazing. 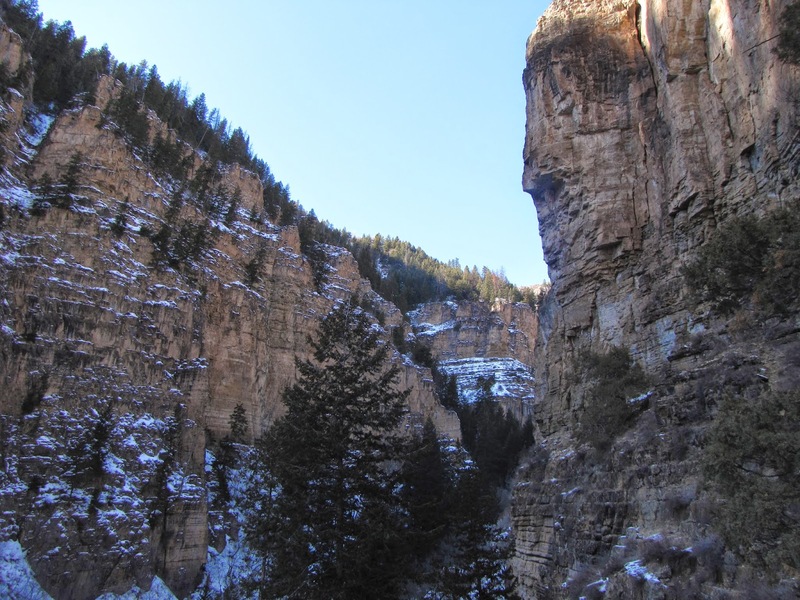 In my opinion this canyon is National Park worthy, if only the highway didn't run straight through it... 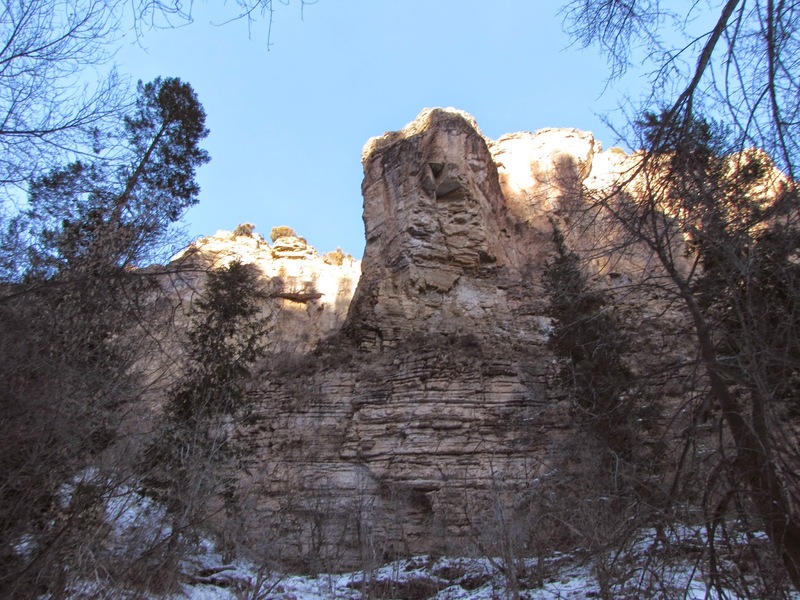 Even with the highway the canyon is a sight to behold but there are not many trails exploring the canyon, a bike trail runs the entire length, but not much for hiking. 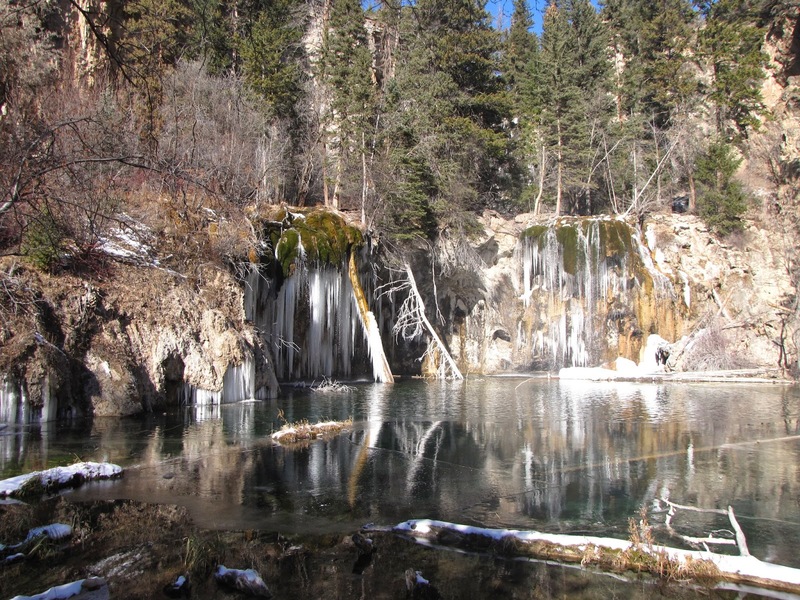 There are a handful of trails that explore side canyons and they are all wonderful, the most famous of which is Hanging Lake. 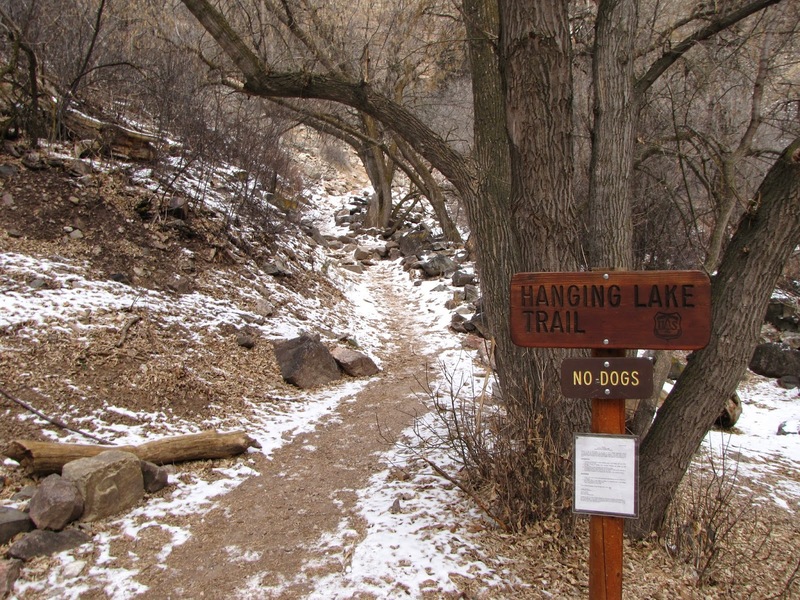 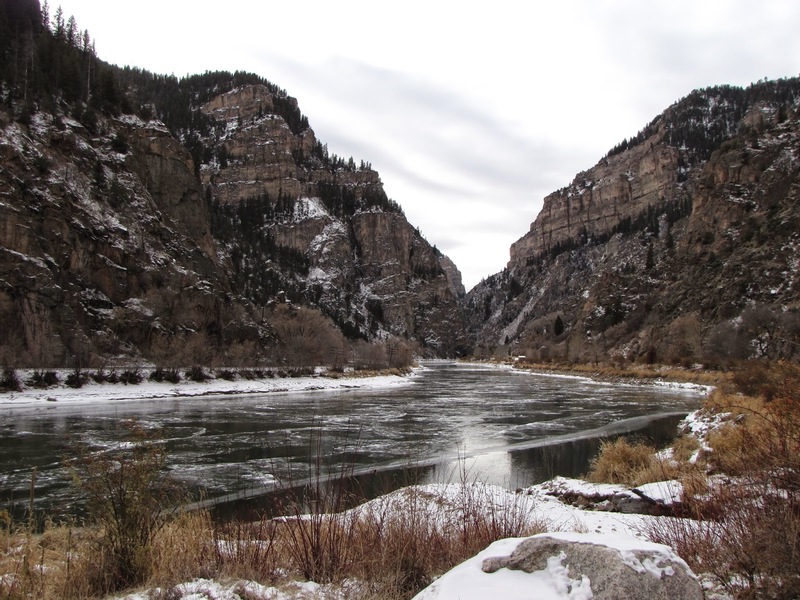 The Hanging Lake trail explores Dead Horse Creek Canyon, a side canyon of Glenwood Canyon. 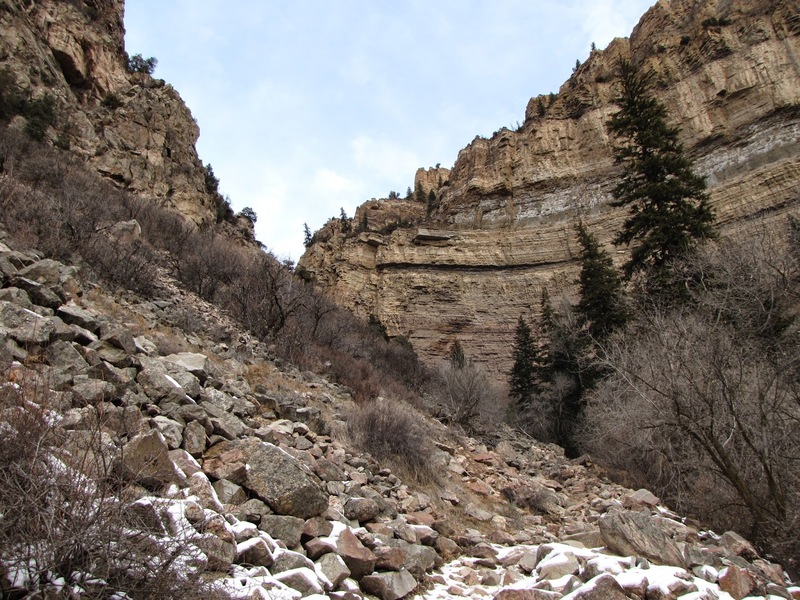 The hike climbs up the canyon crossing the creek several times. 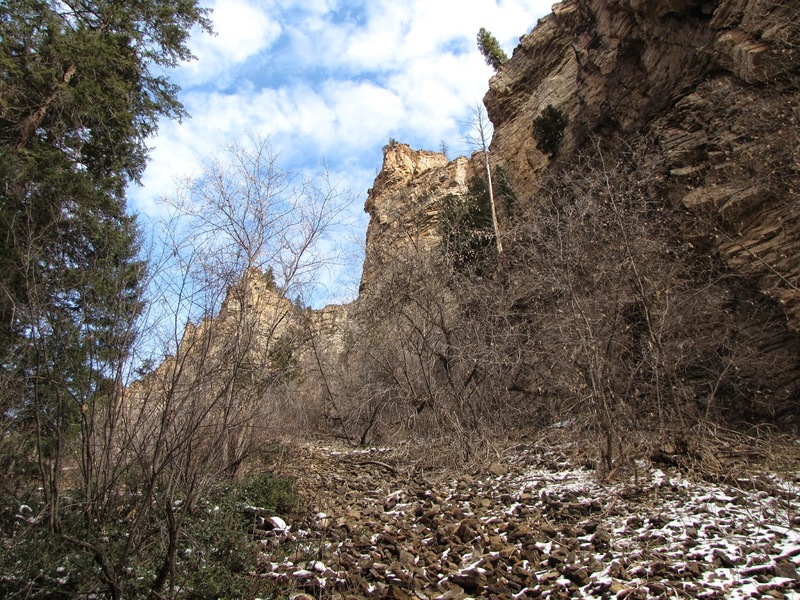 After about 1 mile, you reach as far up the canyon as the trail takes you and you switchback up the side of the canyon. 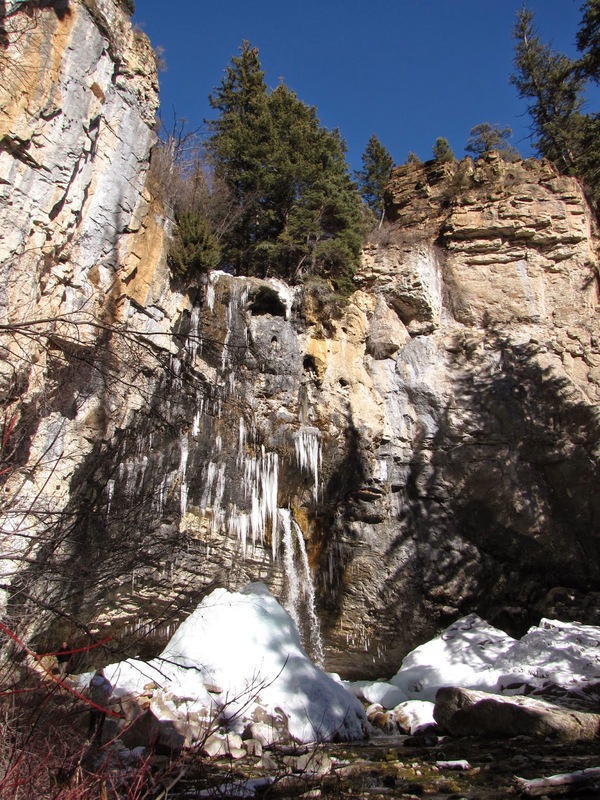 After a short stretch you climb onto a shelf containing Bridal Veil Falls and Hanging Lake. 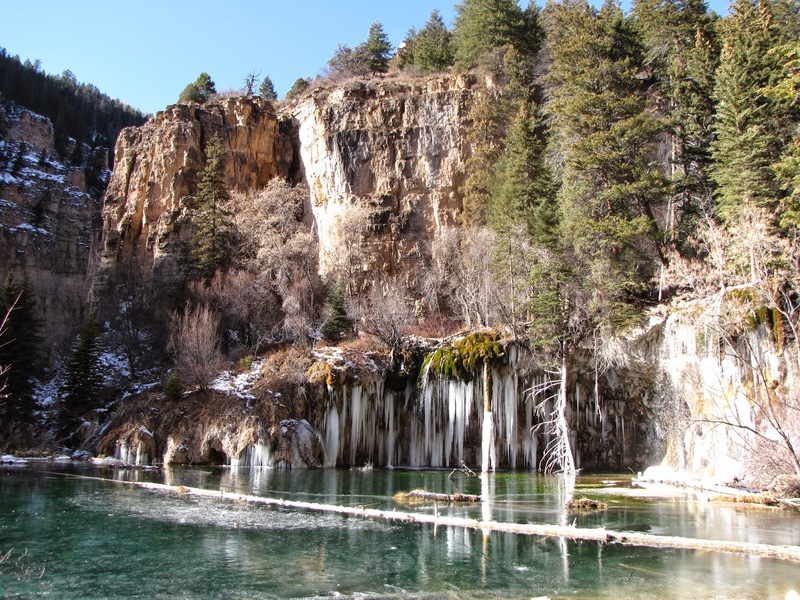 Hanging Lake is a wonder. 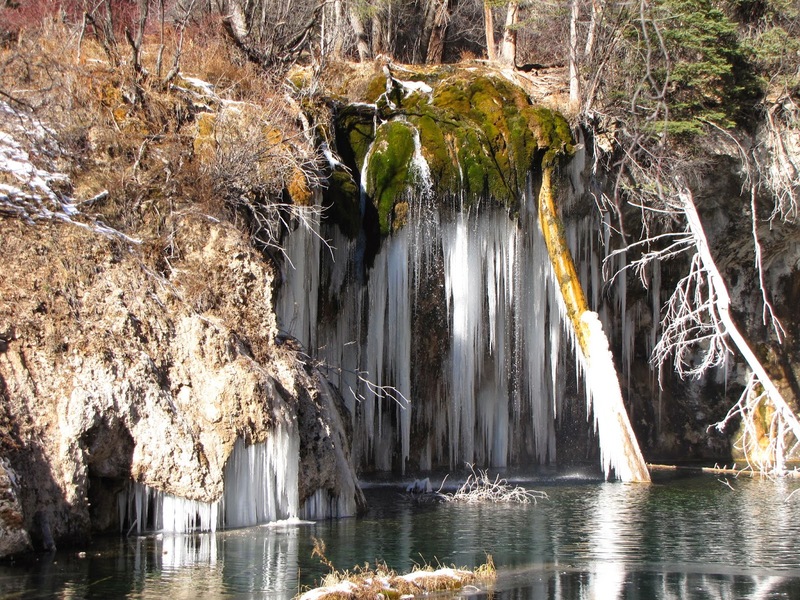 It is designated as a National Natural Landmark and is a beautiful sight to behold. 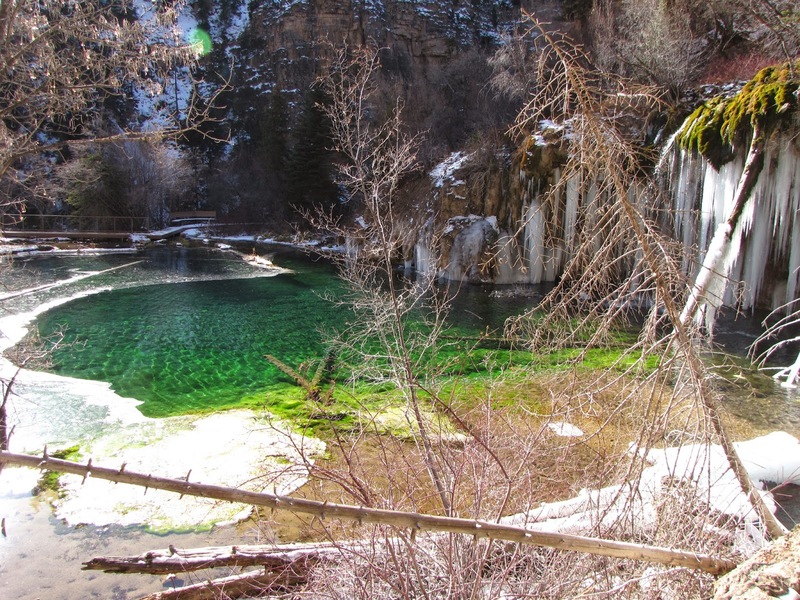 The Water falls into the lake forming a veil of dripping water and the lake itself is a bright shade of crystal clear green. 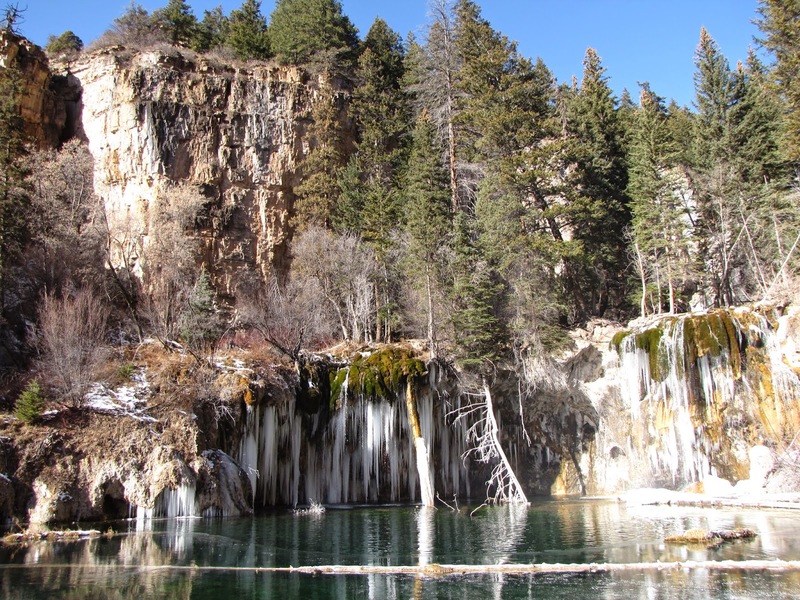 The lake is also very popular. 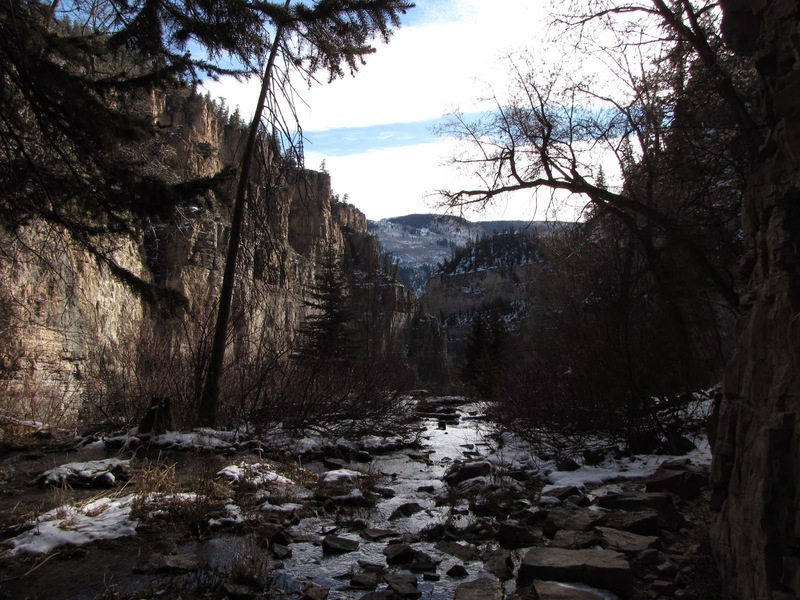 I did this hike early on a weekday morning in December and I had the whole canyon and lake to myself. 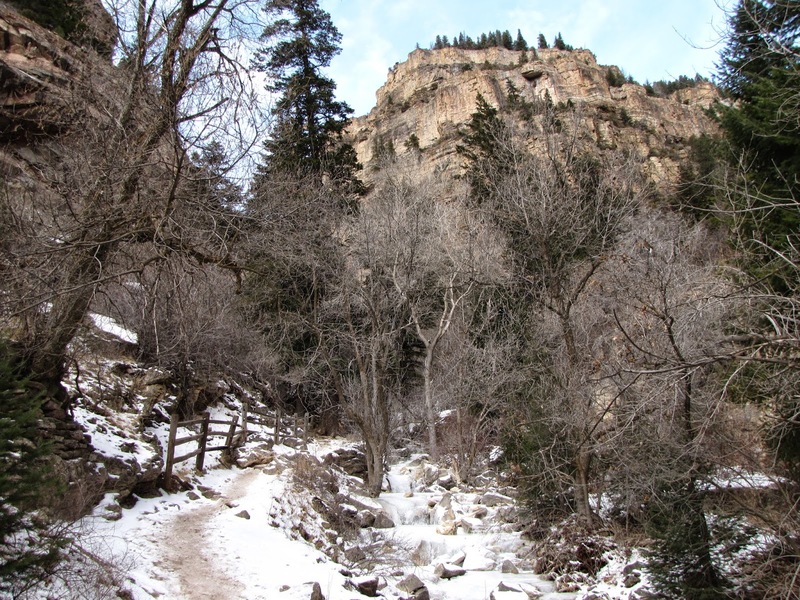 In the winter the hike is much tougher. 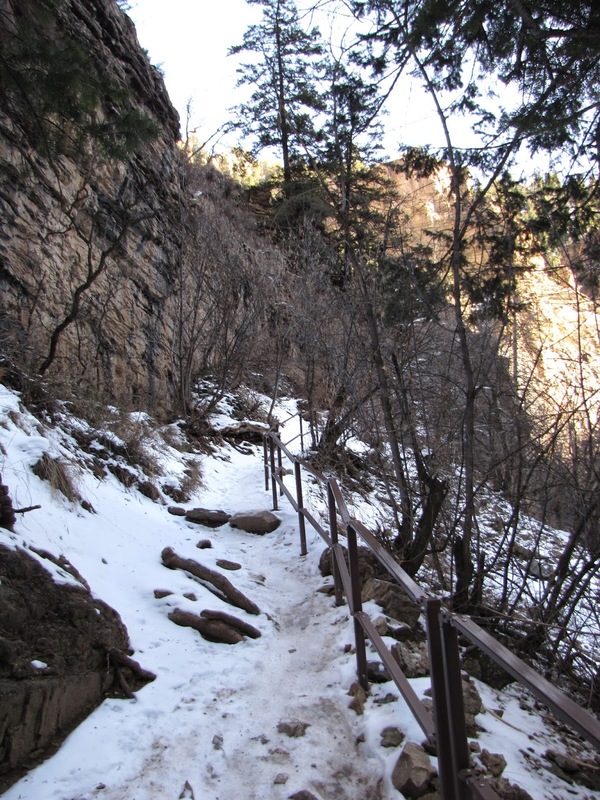 The trail gets very icy, microspikes or trekking poles are a necessity on the way down. 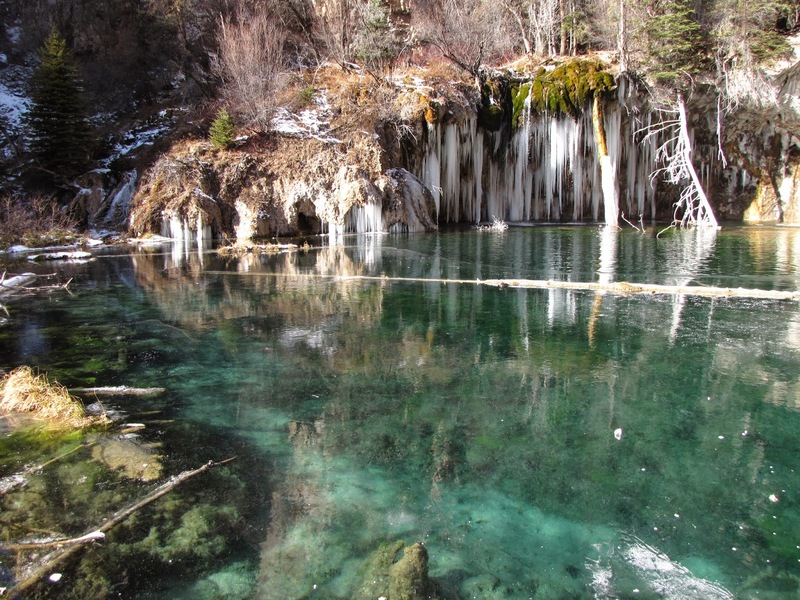 However, the lake is even more spectacular. 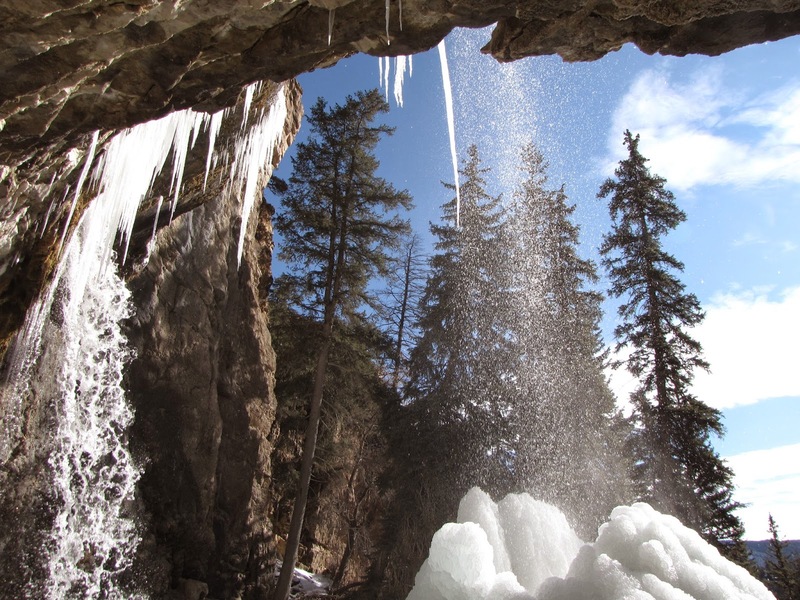 The dripping veil of water forms icicles, stalactites, stalagmites, and even complete columns of ice. 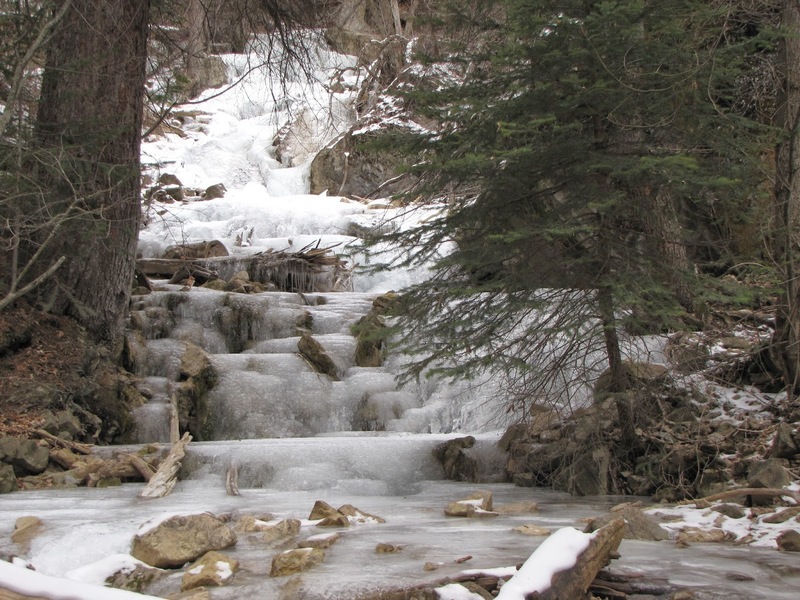 As a bonus, there is a waterfall just before the lake that makes for a nice side trip. 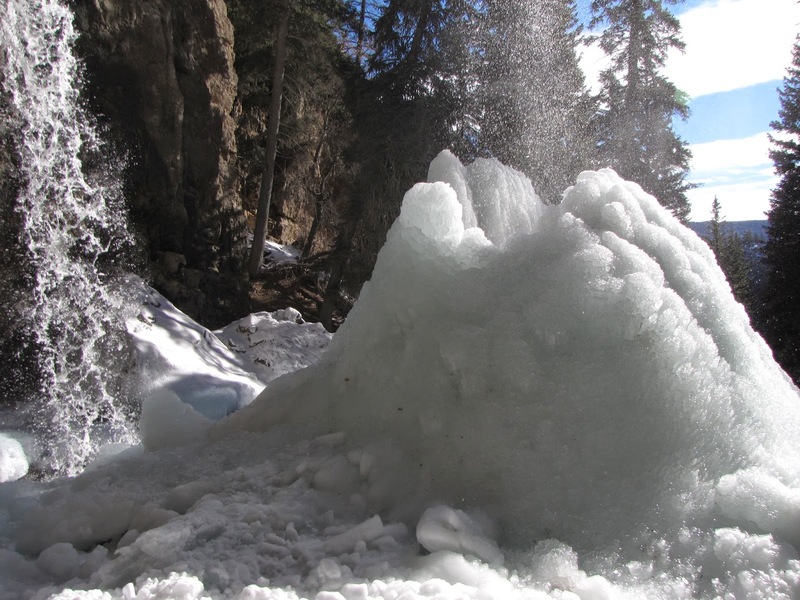 You can walk behind the falls and in the winter a mound of ice forms where the waterfall touches down. 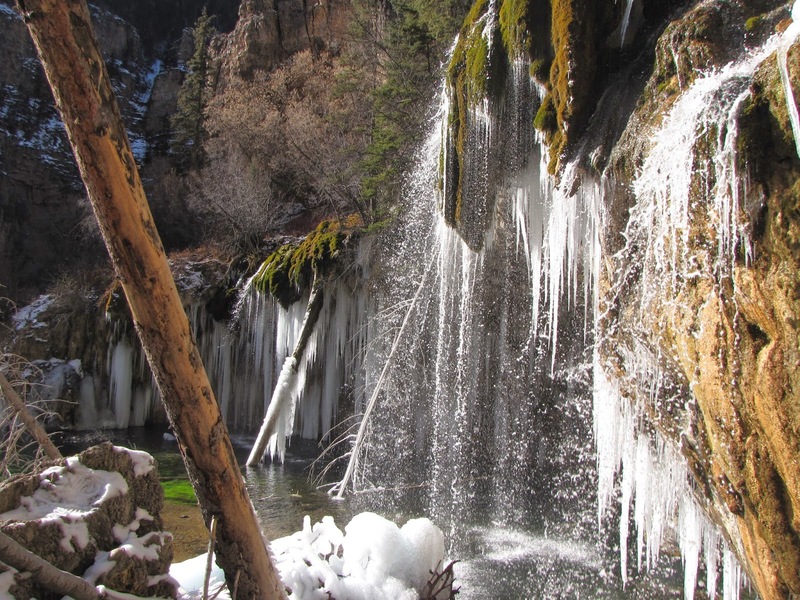 This is one of Colorado's most famous hikes and it is typically on the top of everyone's list of the the 10 best hikes in Colorado. 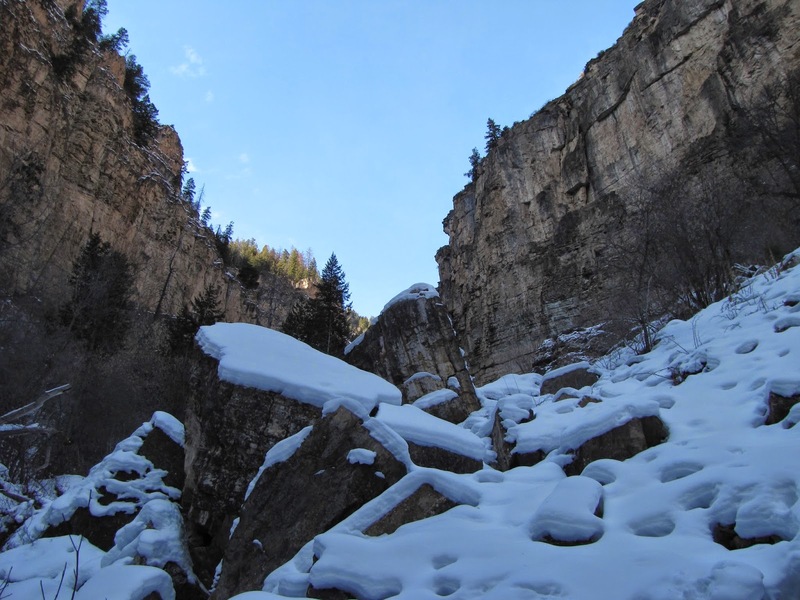 It is true, this hike is a necessity!